Hours: Thursday and Friday, 10 a.m. – 3 p.m., plus 7 p.m. – 10 p.m.; Saturday and Sunday, 9 a.m. – 3 p.m., plus 7 p.m. – 10 p.m. Cost: UPDATE: As of April 4, 2013, the balloon has a fee: $10 for adults 17 and older; $5 for kids 6-16; free for kids 5 and under. You can see it from the I-5 Freeway, glowing in the evening hours as it rises 400 feet in the air … The Great Park Balloon, the first attraction of Orange County’s Great Park in Irvine. 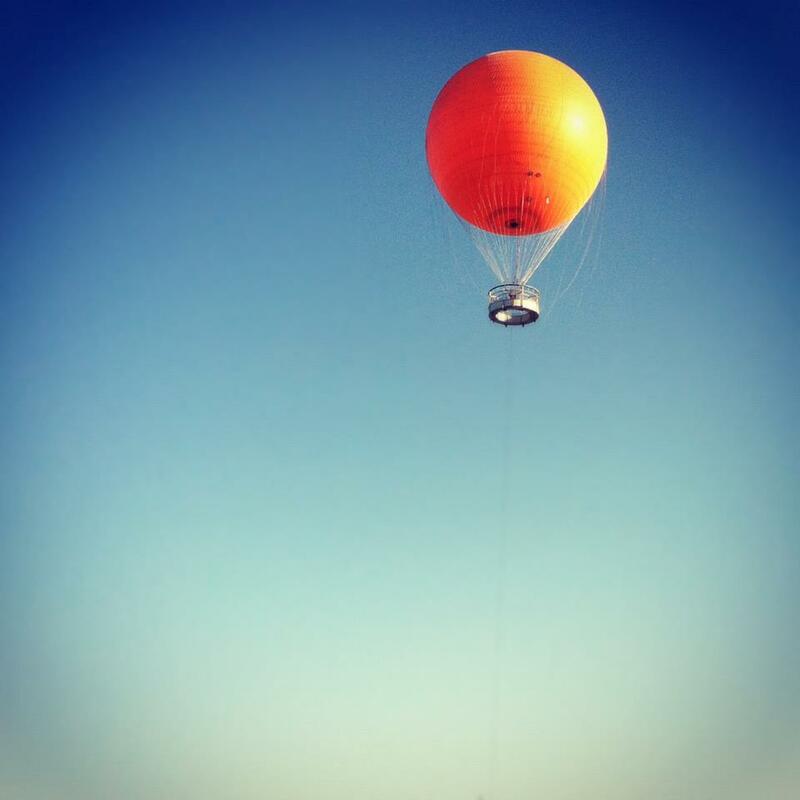 The balloon has been making its ascent since 2007, offering free rides until April 2013, when the $10 fee began. It holds up to 25 passengers in an O-shaped metal observation-deck “basket,” and lifts them 400 feet in the air on a cable to look out over 40 miles of Orange County, 360 degrees. At night, viewers get an altogether different experience, as they can see twinkling lights all around the county. The balloon is powered by 210,000 cubic feet of helium (not “hot air” as in a “hot air balloon”). The original balloon launched in 2007 began to fade too quickly, so in 2010 it was replaced with a new dye-impregnated fabric with UV protection that could be illuminated at night from within. (The result is the beautiful glowing “orange” seemingly floating in the air each night.) 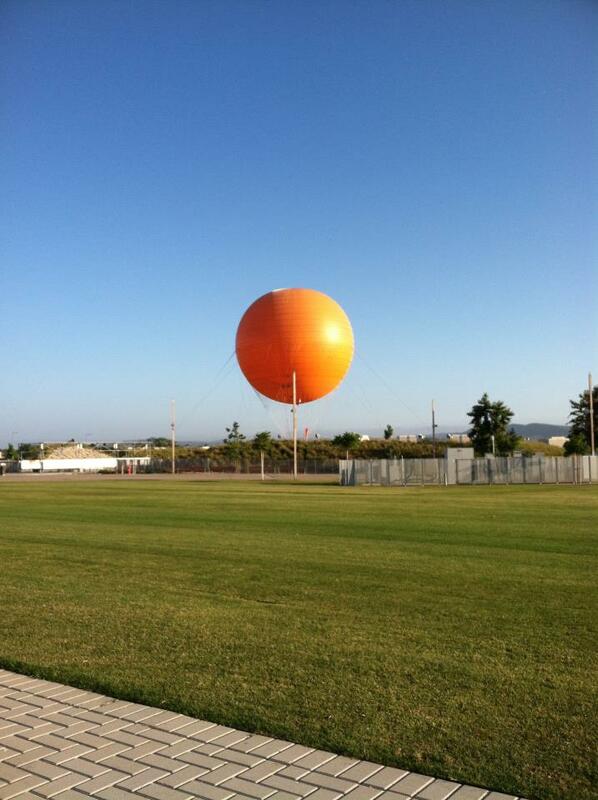 In the fall, the balloon gets a Halloween face and looks like a grinning, glowing jack-o’-lantern. One word of warning, though: It’s sometimes hard to catch the balloon in flight! 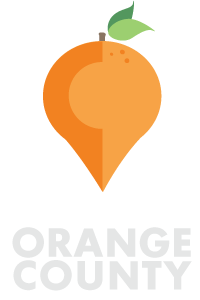 Although the hours seem plentiful, the balloon stays grounded during any kind of wind conditions, so many Orange Countians find themselves taking a trip out to the balloon without being able to ride. You can call the Visitors Center before you go to try to check if the balloon is flying on that particular day. After your balloon flight, you can also do a few other things at The Great Park, such as ride the carousel (right next to the balloon), visit a few museums, or check out the Farmer’s Market on Sundays. There are also events going on many weekends. For more information: Call the Visitors Center at 1-866-829-3829 or visit the Great Park website’s balloon page. Have you had luck riding on the Great Park Balloon? How was your experience?